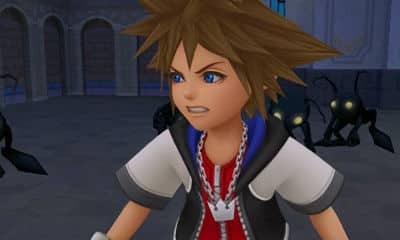 This week saw the Square Enix 1st Production Department Premier event take place, bringing with it news of the Kingdom Hearts instalment currently in development for Nintendo 3DS. Firstly the game has now been given its final name, Kingdom Hearts 3D: Dream Drop Distance, to which co-director Yasushi Yasue explained that there were many ways to interpret it. One involves some of the game’s action elements – “Dropping from heights and “Distance” coming from the gameplay that makes use of the 3D and the ability to move long distances by kicking off walls continuously, for example.